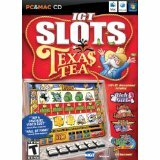 The books and video games below are an assortment of different slots and information for players to choose from. 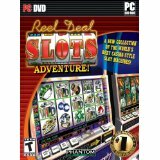 Modeled after real casino slots, the Slot games start players off with a fun money wallet to keep score and most come with animated bonus rounds and other exciting features. 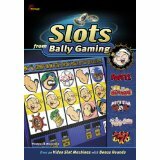 Slots III from Masque Publishing will feature 50 all new slot machines from Bally Gaming. The games will showcase the world's favorite sailor man Popeye and the whole Bumstead cast of characters including Blondie and Dagwood. Explore tropical islands, barren deserts, and icy arctic areas as you search for the mystical wealth-generating device of an ancient King. Unlock new slots and unfold this fantastic story as you try to determine what happened to the Sister Queens and find the treasure yourself. Play the ultimate in video slots with bonus rounds and on-screen bonus features! 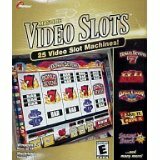 Masque Video Slots features 25 video bonus slot machines. Play popular Bally Gaming slot machines, the actual machines from the casino, and a collection of exciting new machines from Masque including Cash Party, Polar Payouts, Money Bees, and Llama Loot.